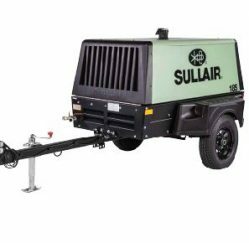 Sullair Air Compressors & Pneumatic Tools | Hy-Cor International Inc.
Sullair has long been on the leading edge of compressed air solutions, renowned for their legendary durability. Together, we offer high quality, portable compressors along with a variety of pneumatic tools such as Chipping Hammers, Tampers, Breakers and more. We also supply a full line of pneumatic tool parts and accessories to keep things running smoothly. LIMITED TIME LEFT TO ORDER!